Plant climbers now to provide colour, height and interest for clothing walls, fences, arches and arbours. As well as for screening compost heaps and other unsightly objects. Fast growing plants like clematis, ivy, honeysuckle, Virginia creeper and roses are perfect choices. If your soil is too wet and sticky, wait until conditions improve before planting. Keep those annoying weeds at bay and you will enjoy your gardening a lot more. Small weeds are best dealt with by hoeing them off. Beds and borders can be kept weed free by applying a 2-3inch thick mulch; and weed suppressing planting membranes ensure the perfect start to new beds and borders. Now’s the time to make a start on sowing those summer bedding plants indoors that need a long growing period – as long as you can provide the right heat and light conditions. You can sow sweet peas, dianthus, lobelia, ageratum and bedding geraniums. Don’t forget to pick up everything you’ll need, such as propagators, compost, pots, seed trays and labels. Now’s the perfect time to check your fences, trellis and pergolas before climbers burst into growth and make the job more tricky. You can make any repairs or improvements as necessary as well as install any new features you want for the coming year. Just ask a member of staff for details of what we have in stock. Now’s the time to prune a number of garden shrubs. These include winter jasmine after the flowers have faded, bush and climbing roses, many summer flowering shrubs and most clematis; apart from the spring flowering montanas, alpinas and macropetalas. After pruning, feed with a controlled release or slow-acting fertiliser to ensure healthy re-growth and more flowers. Don’t forget to pick up any tools you’ll need such as secateurs, pruning saws, loppers and gloves. If you need more information, just ask any of our friendly, knowledgeable staff. Now’s the time to buy begonias and dahlia tubers together with the huge variety of summer flowering bulbs we have in stock. Although it’s too early to plant them in the garden, buy them now to ensure we have the range of varieties you require. Begonias and dahlias can be started into growth indoors now and the resulting shoots used for cuttings. And don’t forget to stock up on pots, labels, twine, compost and all the other sundries you’ll need to get the best out of them. Get your trees and shrubs and beds and borders off to a flying start this year by mulching and feeding with a controlled release fertiliser. Mulches should be applied a couple of inches thick and good choices include bark chips, manure and compost. You can plant hardy trees, shrubs, roses, fruit and perennials, and nearly all other outdoor plants we have in stock providing the soil isn’t frozen solid or waterlogged. 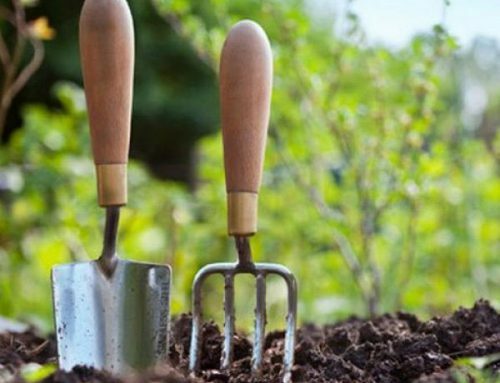 Remember to improve the planting area first with a good soil improver such as tree & shrub planting compost. Check out our Planteria for plants that are looking good now. And if it’s instant impact you’re after, then consider Viburnum tinus, the contorted hazel – that’s Corylus Avellana Contorta, the silk tassel bush Garrya Elliptica, winter flowering heathers or the Kilmarnock willow – that’s Salix Caprea Kilmarnock. And don’t forget you can have instant colour from any of the evergreens we have in stock. 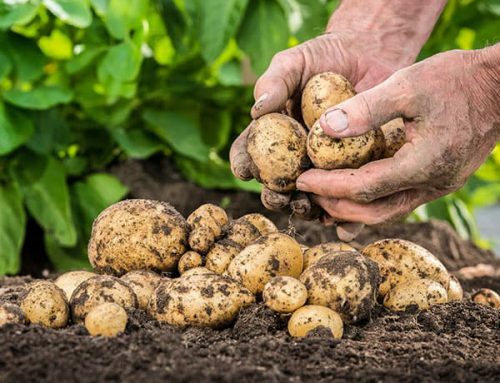 Now’s a perfect time to make a start on producing tasty vegetables for the summer. Don’t be too impatient to start sowing outside, but instead warm the soil ready for sowing by covering it with clear polythene or plastic cloches. You can plant shallots outside; although in cold areas start them in pots of compost in a coldframe or greenhouse. And sow summer cauliflowers in seed trays in warmth. A few minutes spent on your beds and borders now will reap huge benefits later in the year. Lightly trim winter flowering heathers when the flowers fade to improve flowering next year. Lift, divide and replant snowdrops after flowering. Cut back the dead stems of herbaceous perennials to ground level and lift and divide congested clumps that didn’t flower well last year.